You have not yet found an employer and would like to come to Germany to search for a job? We are happy to assist in this case as well. 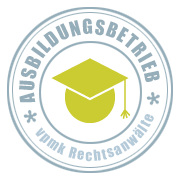 For highly qualified professionals with a recognized university degree or an equivalent thereof it is possible to search for a job in Germany for up to 6 months. If you are successful in finding a job, the job search visa/permit can be transferred directly into a EU Blue Card or work permit in Germany – a renewed visa procedure is not necessary. We would be glad to support you in compiling the necessary documents for the job seeker visa/residence permit and assist you with the application process at the responsible German authority. Please note that we do not assist in finding a job in Germany.